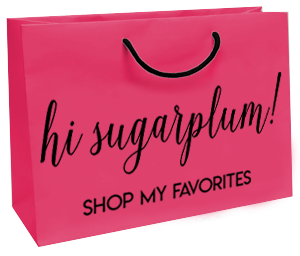 Kitchen Remodel | Part II | hi Sugarplum! Technically, yes. But I always knew we weren’t quite done with the space. You see, when we first bought this house (read about that spontaneous decision here), the list of projects was lengthy. And most of them we really needed to complete before moving in (because of fumes, noise and overall messes). That included new floors on the entire downstairs, new carpet upstairs, and new paint throughout. Plus a new fence. And new duct work. Additional electrical work. You get the picture…we were basically hemorrhaging money. There’s no question there was major improvement, and I’ve loved this room for the last almost-three years. But I knew we weren’t quite done. Problem was, I wasn’t sure exactly what to do next. I knew what I still didn’t like about the space, I just wasn’t sure how to finish it…while still building off what we’d already done. I knew I needed professional help (in more ways than one, ha! ), so I called my uber-talented friend Emily Hewett and begged her to help me. We met years ago and became fast-friends, and I’ve loved watching her success skyrocket. She does whole-house, major design overhauls all over the country, so I was shocked she agreed to step in on my smallish project. 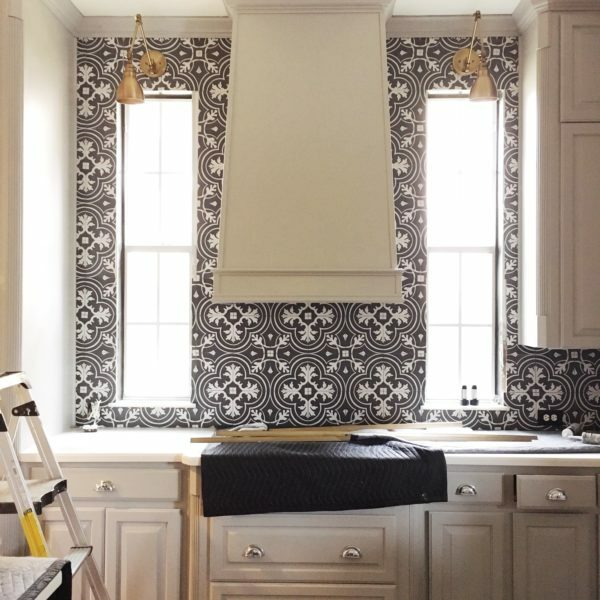 But actually, she and her team at A Well Dressed Home, take on projects of all sizes and budgets, and can offer everything from full-service design and install, to just the design plans. The moment I stepped in their offices, I knew my Kitchen was in good hands. 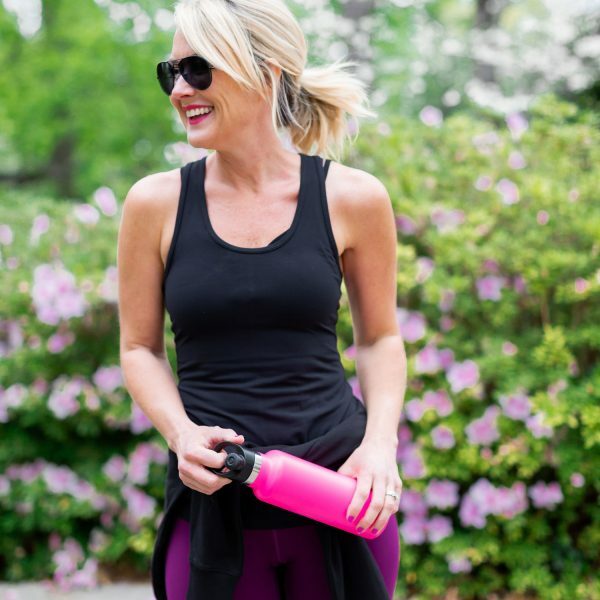 We talked through the changes we’d already made, and they presented options that fit within our budget…always keeping my style at the forefront, and considering my opinions. I loved that they didn’t just want to scrap the room and start from scratch, but rather, work with the bones of the space and spend the budget wisely. We have 10-foot ceilings, so the disproportionate space above the cabinets made them look squatty and too small for the large wall. Our first thought was to add another row of cabinets, but then we had the dilemma of what shape to use for the new doors. Shaker or traditional wouldn’t match, and the Cathedral feels dated to me. I didn’t really want to spend the money on more Cathedral doors, so we decided to replace the existing cabinet doors with a more updated (but still traditional) shape that mirrors the doors throughout the house. This will also allow us to have taller doors, giving the two rows of cabinets better proportion (more on that later). The drawers will stay the same. The tile was another problem-spot for me…I’m still completely smitten with the tile itself…but there are too many awkward areas where it stops suddenly. Taking the tile to the ceiling around the windows will also create a more focal point for this open Kitchen. And finally, the room needs some warm touches, so we’re swapping out the hardware for brushed brass, and adding more lighting and trim to the hood to further create that focal point. We still love the colors, so there was no reason to add-on the mess and expense of re-painting or tiling. After all, this is phase 2 of what we’d already started…not a start over! I know I’ll have tons of questions along the way, but am so grateful to have Emily and her team on-call to help me through all of it! The project is already under-way, and I hope to have a progress post for you soon. We’ve already got A Well Dressed Home scheduled for their final styling next month, so pressure is on! What do you think of our plans? Have you ever worked with a professional designer? I can’t recommend A Well Dressed Home enough, to those of you in the Dallas area, and beyond! The Kitchen: We Have Floors! I love your plans. Surprisingly I like the brass lights and pulls you’ve chosen–surprisingly because I lived through the 80’s brass revolution. Lol. 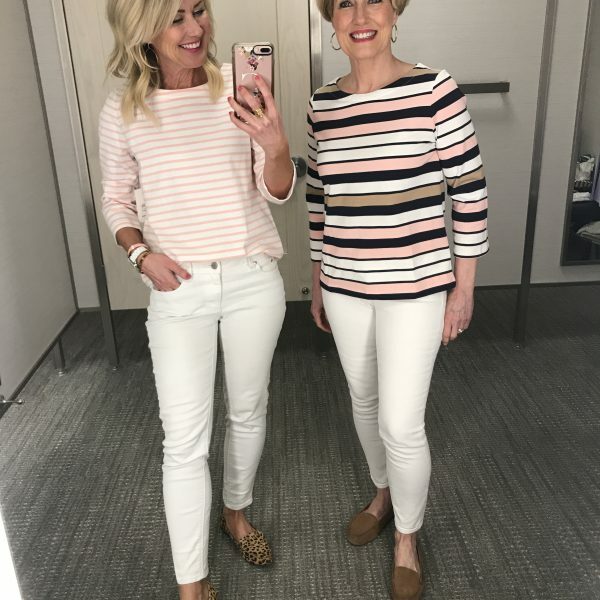 I will say it really warms up all the gray tones you have. I also like that you are not doing a total redo, just making your already great design more cohesive. Can’t wait to see it all come together! I’m probably a little more excited about this than I should be!!! Can’t wait to see it!!!! The plans look great! I think in some ways a house is never truly finished. Thirteen years after moving in our house I’m STILL trying to commit to a backsplash in our kitchen. :0 Can’t wait to see the progress on your project! This kitchen is already delicious! Don’t feel bad about all the work needed when you moved in. My friend moved into a gorgeous old colonial, and the previous owners hadn’t changed the furnace filter in 15 years un-be-lieve-able-! The new plans are stunning! I’ve always love your kitchen but this will definitely take it to the next level. Can’t wait to see! Love the plans, can’t wait to see the finished product! I have the same issue with 10-foot ceilings and cabinets that are too small for the space, plus cathedral cabinet doors. 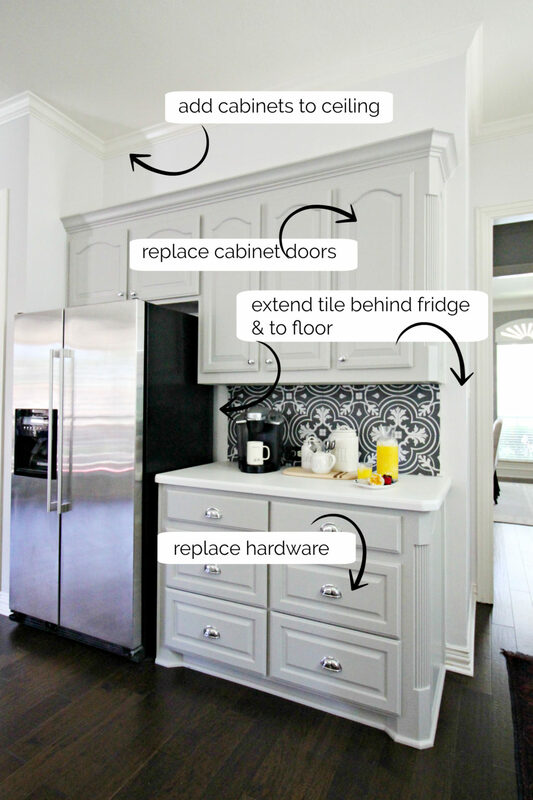 I’ve been thinking of replacing the doors and then adding glass-fronted cabinets above the existing cabinets so needless to say, I am thrilled to take pointers from your sure-to-be gorgeous completed reno! I can’t wait to see it come together either!! Sounds like a fun project! 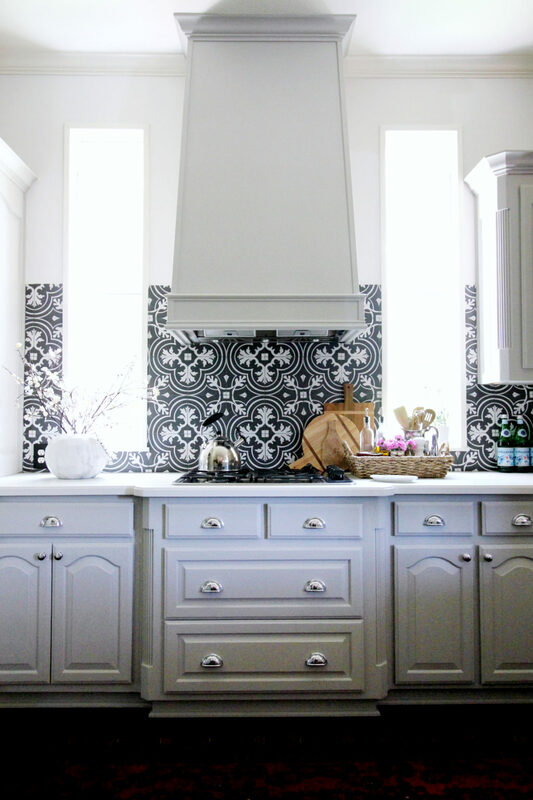 I love the backsplash tile you have, and adding more will make an even bigger impact. Can’t wait to see more! Yay!! We are so excited to be working with you!! See you next month for the accessory install!! We have lived in our house 9 years and started our renovation in much the same way. We removed the 80s wallpaper, put in a tile backsplash, added an island light, under cabinet lighting and replaced the appliances. Later we had the cabinets refaced. Recently, we finally had the counters replaced, moved the dishwasher and traded out the tiny corner sink for a much needed single basin. A few weeks ago the island light died (I was not sad). I agreed to repaint the ceiling myself if I could get the light I wanted. The spouse is not keen on brass. The light is on order and I also got some brass drawer pulls. All your projects sound amazing…I know your house is gorgeous! And we’re big fans of mixing metals! We’re keeping all the satin nickel appliances, so we’ll likely have 3 metals going in this room! Is it possible to put 3/4” panel to the right of your refrigerator to give it a more “built in” feel and cover the exposed side of the refrigerator? 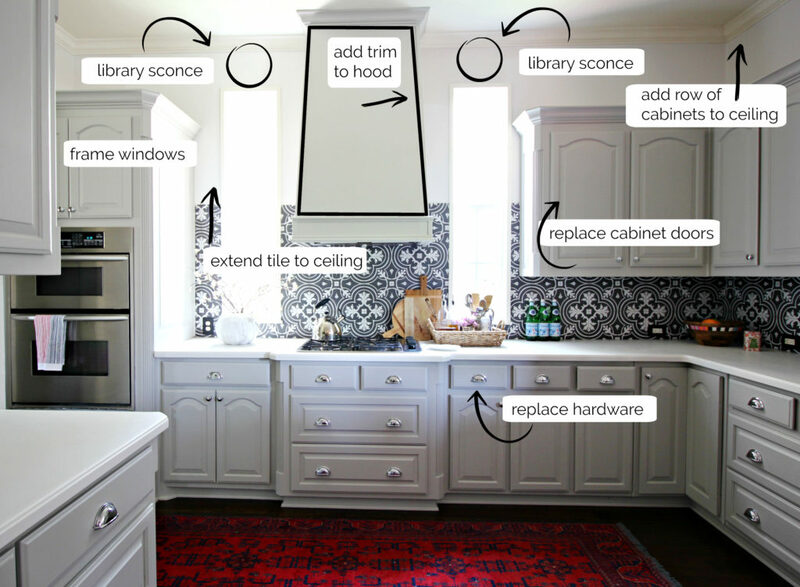 Then have the cabinet above the fridge pulled forward or get a new deep cabinet above with doors that run from the top of the refrigerator to the top of the upper stacked cabinets. Just an idea, your kitchen is beautiful! Thanks so much for the great tip, Jen!! We’ve got a few ideas, but I love where you’re going! Adore Emily and her work. I think you need to live in a space a bit to truly finalize the design. It’s great to build on what you already have. I think Emily’s plans are putting the “icing on the cake”. I liked your kitchen as it is … until I saw the new plans. I can see these details will really finish the space and take it to the same level as the rest of the house. We recently redid an old house and our kitchen is very similar to what you are doing! 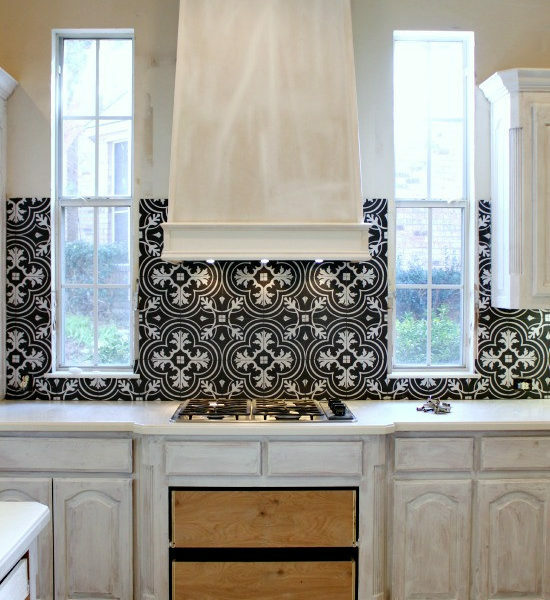 We did almost the exact tile (ours is reverse…more white with black detail) and did it on all of the walls. I love it! We have very light, greenish gray cabinets with brass fixtures/chandeliers. Good luck with your remodel!! Hi!! 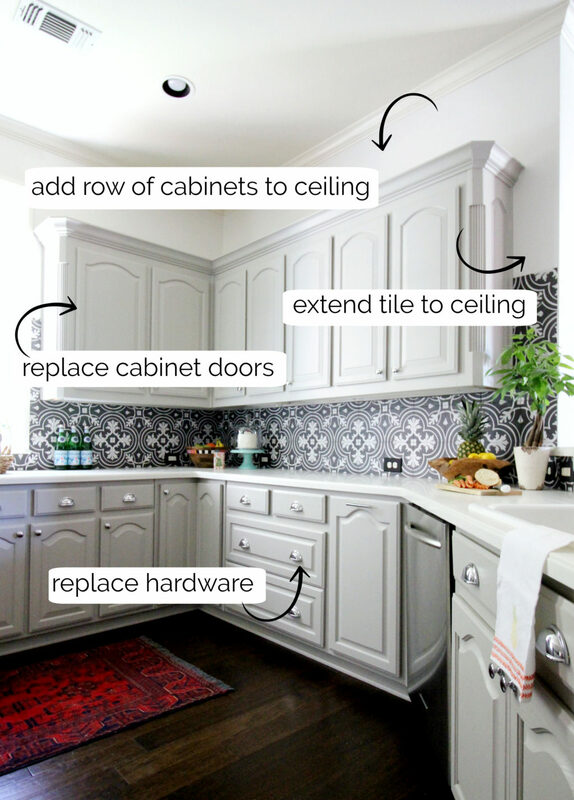 Was very interested in your plans for your kitchen – my kitchen is very similar to yours and am contemplating a similar upgrade with higher cabinets and new hardware. I was very surprised at your choice of brass pulls (they are gorgeous) because it seems like EVERYTHING now adays in new construction/remodeling is brushed nickel hardware and grey color (not my favorite). I love the warm look of antique brass but have been told that brass is so out – are you seeing brass coming back in?? (hopefully!!) thanks!! Oh yes…brass has been coming back for awhile, but I prefer the warmer, brushed tones of it! I do still have that rug…haven’t decided if we’ll swap it out or not! I recently talked to a designer at a show house – when I asked her about brass she said “it’s back” and I thought well, gee whiz our 20 yr. house has brass and I read a couple of years ago that brass dated a house. Goes to show you what goes around comes around. I have read several articles that it is OK to mix metals in a room. 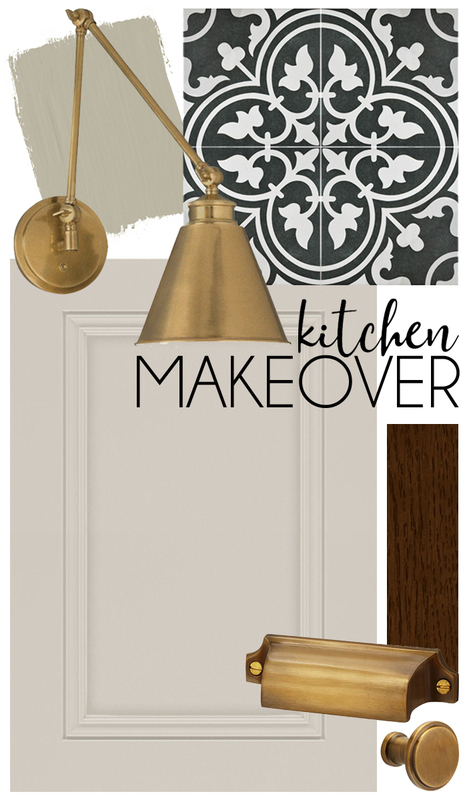 We are replacing our older (expensive) brass lighting in the kitchen and dining area to the darker bronze to create a more farmhouse look. 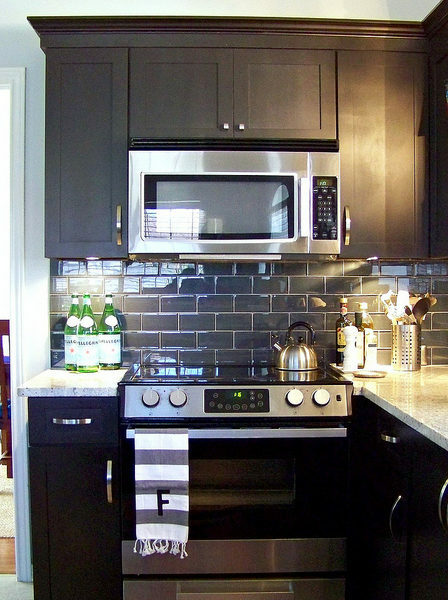 We did put in new granite countertops and all new appliances in black because I didn’t think we could mix brass and stainless. Oh, well. I’m definitely a fan of mixing metals, both at home and in wardrobe. I think the difference between the brass that’s ‘back’ and the brass of the 80s, is the shade and sheen. The older brass definitely looks dipped or plated, with a yellow shine. Your kitchen sounds gorgeous!! xo. C.
I’m so excited to see your results! 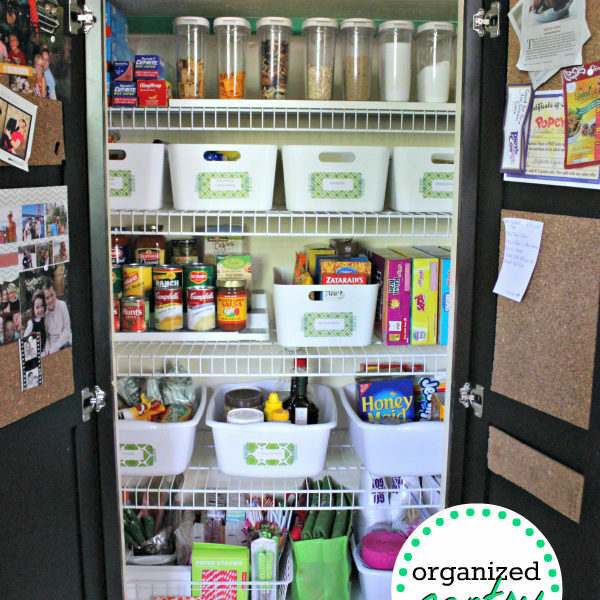 I pinned your blog a while ago and this kitchen is why! This August we bought an old cottage house that was stuck in the 80’s in all things and your kitchen is my goal 🙂 I’m planing on starting a blog to track our progress as we renovate. Any tips on taking the best photos? The lighting is usually fantastic in your pics. Thanks! Can’t wait to see your new reveal! Thank you, Jenny! Use as much natural light as you can (turn off inside lights). And if it’s too dark, use a tripod so you can set your shutter speed slower. Good luck with your reno! Nicely done kitchen remodel. Adorable contrast between black and white.